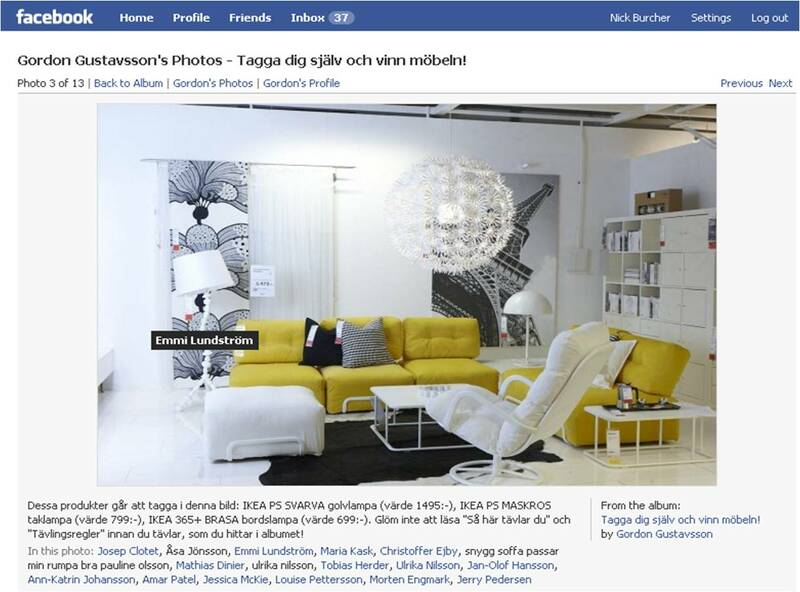 IKEA Malmo have been using Facebook to promote their new store - creating an IKEA showroom on Facebook! 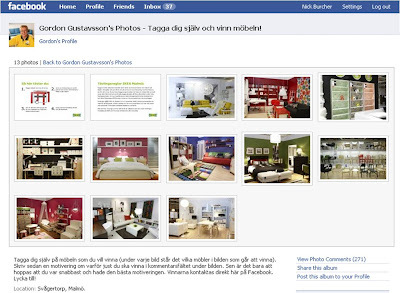 There is no real build cost here as the Destination is already existing inside Facebook - this activity simply uses a profile, the photo album format and the standard Facebook tagging tools. This makes it easy for Facebook users to understand what to do and the novelty factor coupled with the prizes also creates attention. 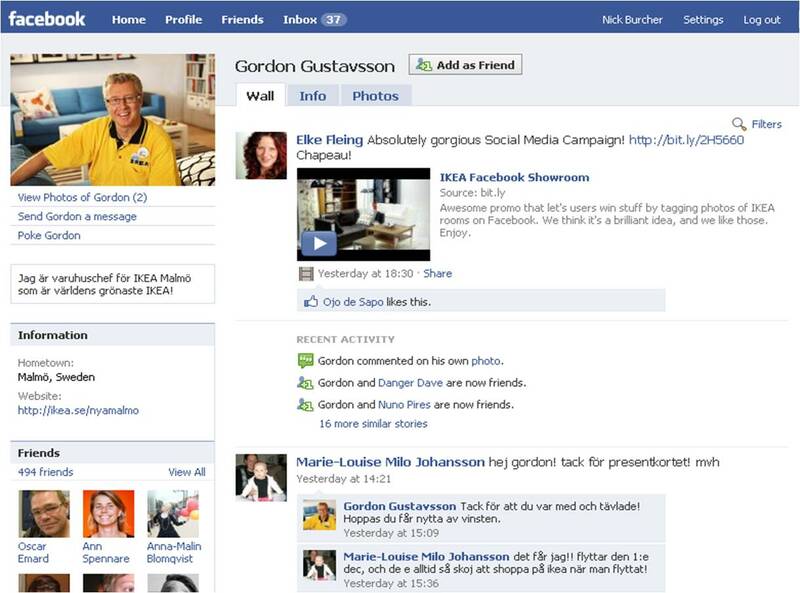 The Conversation around this is then amplified as user actions are reported in their news feeds. This built in virality helps to spread the message about the competitions as user actions are reported to their friends. I'm not sure this is strictly compliant with Facebook terms and conditions so enjoy it while it lasts! IKEA election kitchens in blue, red or yellow! IKEA - 'Flatpack' the instore Opera!